Ladies, let the real you come through. And by you, we mean sweat. 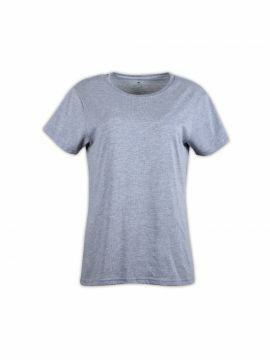 This 15% Cotton/85% Polyester blend feels like your favorite worn-in t-shirt, yet wicks moisture away like none you've worn before. DriRelease® and odor neutralizer, FreshGuard®, work together to absorb moisture and quickly release it through the fabric and into the air. This controls odor by minimizing its creation. In short, it doubles as a great undershirt when you run out of deodorant.